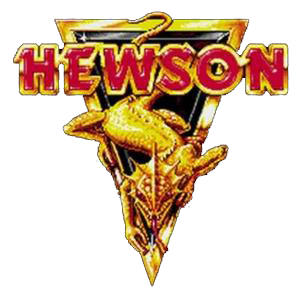 Hewson LogoHewson Consultants was a software company founded by Andrew Hewson in 1980. Hewson has a reputation for making highly playable games with a high production value that were very innovative. Fine examples are classics like Uridium, Paradroid, Avalon, Dragontorc, Gribbly's Day out, Exolon, Cybernoid, Nebulus. Even to this day Hewson games rank among my favourite video games of all time. In the 90s Hewson transitioned into '21st Century Entertainment' which was responsible for classics like Pinball Dreams, Pinball Fantasies, Pinball illusions and many others. The games by both Hewson and 21st Century Entertainment play a huge role in my personal gaming history and when I found out that the man behind those companies has created a Kickstarter project, together with his son Rob, I just had to find out more. The purpose of this article is to inform you about the Kickstarter for a book entitled 'Hints & Tips for Videogame Pioneers'. And here a link to Hewson Consultants Ltd's website. I pledged and invite you to check out this Kickstarter project as well. Below you can watch the interview I did with Andrew. 11,481 Pounds have been pledged by 270 backers (10:29 GMT+1), so only 519 pounds to go with a couple of days left! I think there's a good chance this Kickstarter will make it! :) But do consider pledging to the Kickstarter as there are some benefits as a backer! Check out the Kickstarter page.